Harley-Davidson women's T-shirts are as iconic as our bikes and a symbol of freedom on the open road. 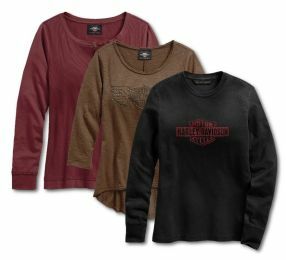 On the bike or off, H-D women's tops add a layer of attitude to any type of look. Stand out from the crowd with a quality Harley-Davidson® T-Shirt for women, emblazoned with a stunning Chester Harley-Davidson® motif on the back. 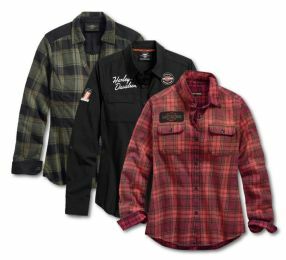 H-D's selection of women's long sleeve shirts has something for everyone, no matter the occasion. Shop for yourself or for an official Harley-Davidson® gift. 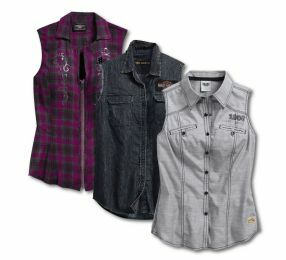 H-D's selection of women's roll-tab sleeve shirts for when you can't decide to make it short or keep it long, either way Harley-Davidson® has you covered. Shop for yourself or for an official Harley-Davidson® gift. 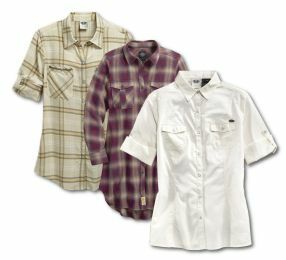 H-D's selection of women's short sleeve shirts has something for everyone, no matter the occasion. Shop for yourself or for an official Harley-Davidson® gift. 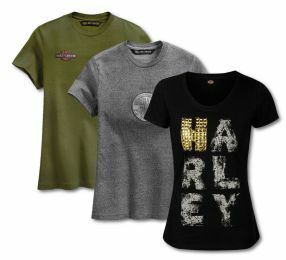 Women's t-shirts from Harley are sure to be your favorite t-shirts. And with so many styles to choose from, who can stop at one? 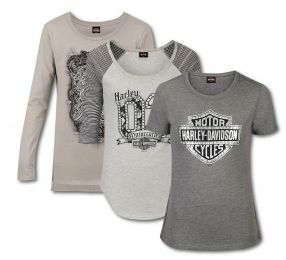 Browse Harley-Davidson's vast collection of women's t-shirts now. 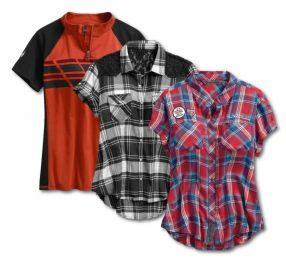 H-D's selection of women's short sleeve tee shirts has a great range of styles so you're guaranteed to find one that suits you to a tee. Shop for yourself or for an official Harley-Davidson® gift. 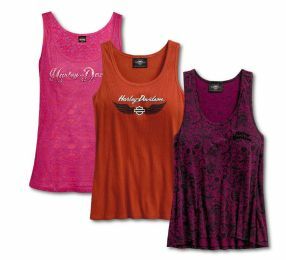 Why wear a plain ribbed tank when you've got so many options of women's tank tops from Harley? Show off those arms.